Acrobatics are exciting for children and teenagers. It is both challenging and fascinating to put your balance to the test and build human figures. Very important for this are team spirit and a willingness to cooperate. Many spectacular human pyramids and partner balance figures are easy to learn and great progress can be made in a short time. 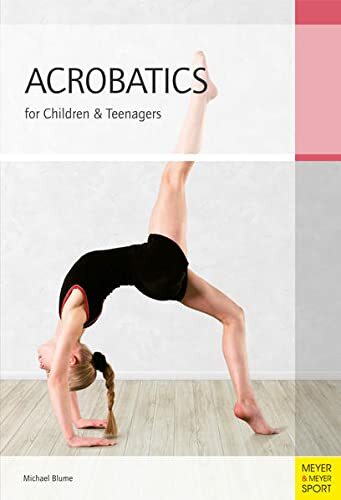 This book illustrates the basics of partner acrobatics with children and teenagers in a clear and informative way. The topics include not only how to begin and how to organize a practice session, but also different ways to arrange performances. In addition to many preparatory exercises, a practical section presents simple acrobatic figures that have proved to be of value in practice. The variety of techniques, from pyramids to figures of imagination, from dynamic elements to elegant partner figures, is described in detail in individual chapters. Michael Blume has been dealing with the theory and practice of acrobatics since his studies. He taught P.E., history and performing arts at a Rudolf-Steiner-School and was associate lecturer for sport at the University of Bremen. As a teacher for acrobatics and theatre at the clown and artist school in Viby he was responsible for establishing professional artist schooling in Denmark. He currently works as a teacher of Sport and Pedagogy at the VIA University College in Denmark.